Does it lay flat or does it roll at all? 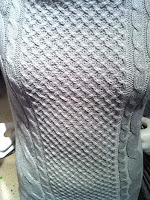 I'm guessing it would with the Purls and knits alternating on the first and last stitches of the rows. 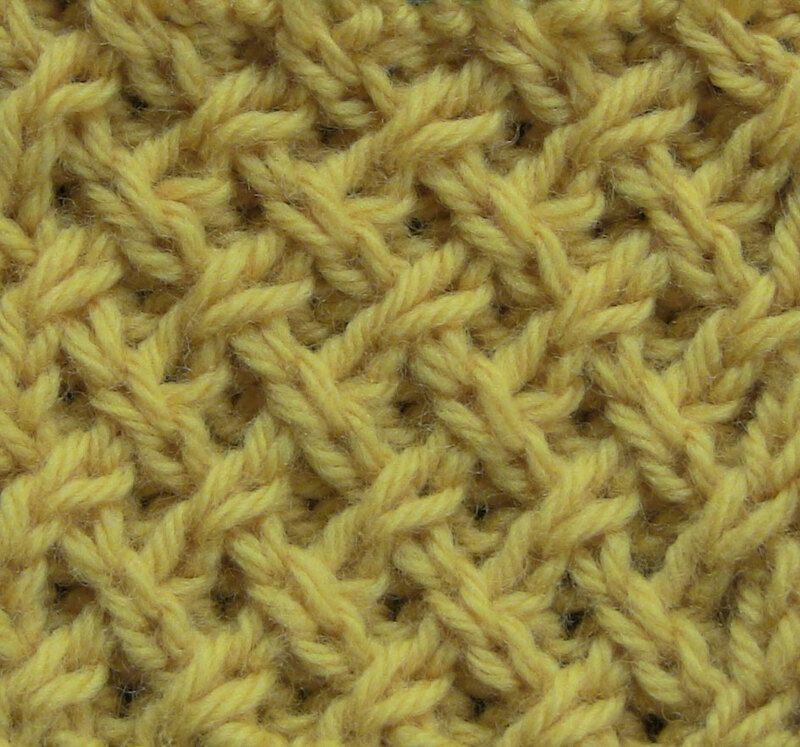 But even though I change row 2 and 4 to opposit stitches, I cant get it completely correct. I think I do something wrong somewhere in 3rd or 4th row. Do you have any idea how I should do it correctly? Sorry I took so long to respond, I have been away. This is a snap to change over to round knitting... until I get to row 4. Let me get my yarn and needles out and play around and see what I can come up with. That is the only row giving me trouble! Row 4: Slip the first st, purl two, then *T2B, P2* to last st of the round. Slip the last st to right needle, remove the stitch marker and put st back on left needle. T2B, then, slide the last st back to left needle, replace stitch marker. 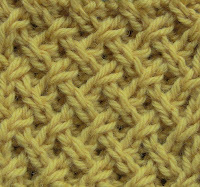 Begin again at Row 1.
what would the stitch gauge of this particular stitch? Is there a way to do this stitch so that the pattern appears on both sides? I'd love to use this on a scarf, but I don't want a good side and a bad side, I want two good sides.